Purana Pakistan has six characteristics. One, elected leaders treat state assets as their personal estates. Two, elected leaders mutate civil servants into their personal serfs. Three, taxes are collected and then spent to fulfill rulers’ priorities. Four, monetary rewards of political power are extremely high. Five, there is massive under-investment in human capital. Six, power projects are being inaugurated that would produce power at an astronomical rate of Rs41 per unit. Here are the proofs of the above six. One, Rehman Malik had a PIA aircraft wait for him for two long hours. Two, on June 17, Punjab Police killed 14 unarmed citizens. Three, budgetary allocation for the National Disaster Management Authority (NDMA) is Rs160 million while the annual budget for the PM House is Rs770 million. Four, Pakistanis are getting more and more indebted by the minute while assets of the ruling class keep on increasing by the day. Five, Nigeria is the only country on the face of the planet with more out-of-school children than Pakistan. Six, the cost of the Nandipur Power Project has gone up from $329 million to $847 million and if diesel is used to produce power it will cost Rs41 per unit. This is what purana Pakistan is mostly about. 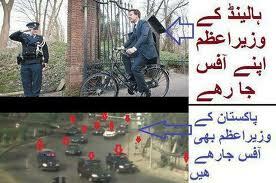 Here are the proofs that Pakistanis hate what they see in purana Pakistan. One, passengers threw Rehman Malik off the PIA aircraft – something that has no precedence in our political history. Two, police high-command has now started demanding written orders from their elected leaders in order to shoot at unarmed citizens. Naya Pakistan has to be a contractual state. Naya Pakistan has to have a social contract between the voters and their elected leaders. The social contract must cover three things. One, who will pay taxes? Two, how much taxes will be paid by each taxpayer? Three, how will these taxes be spent? Naya Pakistan has to have three things – elections, accountability and a responsive government (purana Pakistan has had plenty of elections but neither accountability nor a responsive government). Here are four steps to a naya Pakistan. One, alter spending priorities as per voters’ needs and demands. Two, invest in education and health. Four, privatize all public sector enterprises in a competitive, transparent process. The constitution is not under threat. The democratic system is not under threat. Yes, the old political order is under threat. And, yes, the custodians of the old political order are feeling threatened. I went there two years ago and they were were generally nice to me and my dad. do you want to hear the honest answer or the answer that you want to hear. Well the honest answer is that day by day pakistani people are starting to hate usa because of their drone attacks that are killing innocents plus due to their agents like raymond davis who comes and kills pakistanis and due to many events like this. Other answer: yeah Pakistani love America so much, america is so much spreading peace and love…..
btw Pakistani people are nice. Obviously they will welcome you and will love you because they are good host, (lols not talking about the people in tribal areas like taliban etc they are ignorant and even kills pakistanis). other pakistanis are nice, i see many many foreigners in islamabad and people treat them good. 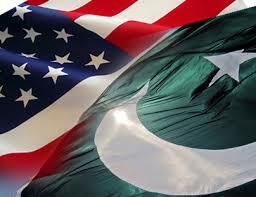 Pakistan does not hate America, some people in Pakistan do however. You cannot blame an entire country for the sins of a few.